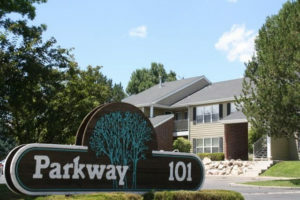 Parkway Apartments are centrally located just off the west exit of Interstate-80 on Spruce Road. Parkway is walking distance to Mountain City highway where shopping, restaurants, Walmart, Home Depot, and many other new commercial businesses have recently been developed. We are also very close to the new Barrick parking lot on Aspen Way and just a few blocks from the new Elko Municipal Airport. We are also walking distance to the Performance Athletic Club with swimming pool on Sagecrest Drive and we are very close to Mountain View Elementary School. Copyright © 2019 Parkway Apartements. All rights reserved.